Celtic earrings are a dangle design that feature Kilkenny marble beads along with a knot-work motif. Celtic earrings feature Kilkenny marble beads along with a knot-work motif. Celtic earrings feature Kilkenny marble along with silver plated over pewter love knot hearts. These Celtic earrings with the Newgrange spiral are crafted from laser cut stainless steel. 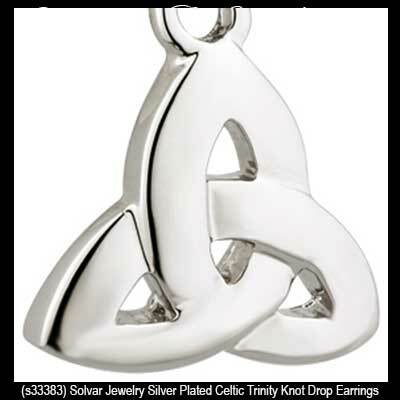 These rhodium plated Celtic earrings feature interlaced Trinity knots in the center. 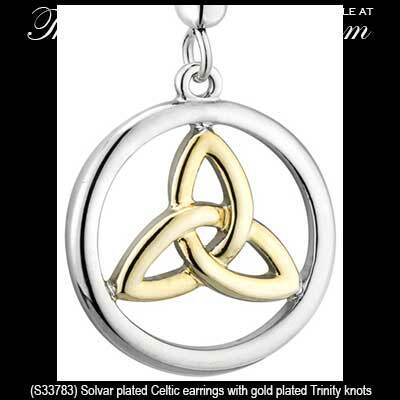 These rhodium plated Celtic earrings are drop circles that feature gold plated Trinity knots. These plated Celtic stud earrings are disks with gold plated Trinity knots. 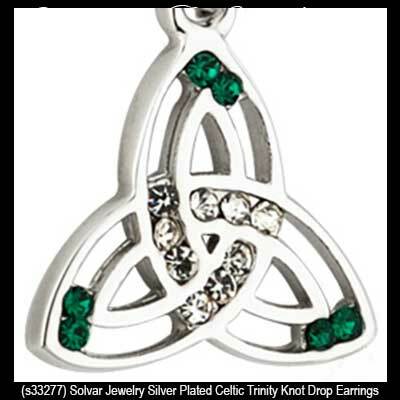 These silver plated Celtic earrings are Trinity knots that are dotted with green and white crystals. These silver plated Celtic earrings feature drop Trinity knots that are interlaced with circles. 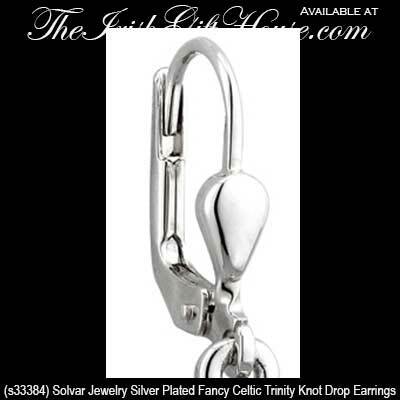 These silver plated Celtic drop earrings depict a classic Trinity knot design. 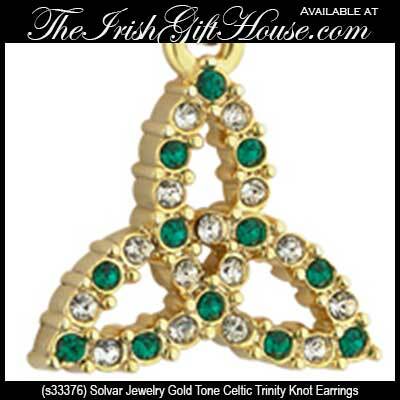 These gold plated Celtic earrings are Trinity knots that are dotted with green and white crystals. 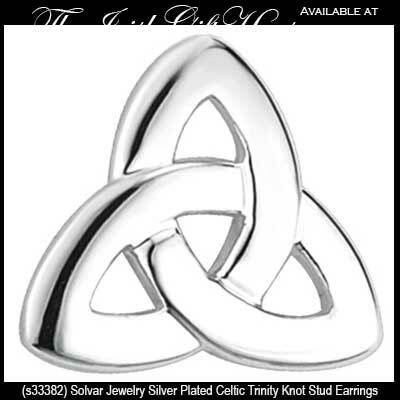 These Trinity stud earrings feature a classic Celtic design with a silver plated finish. 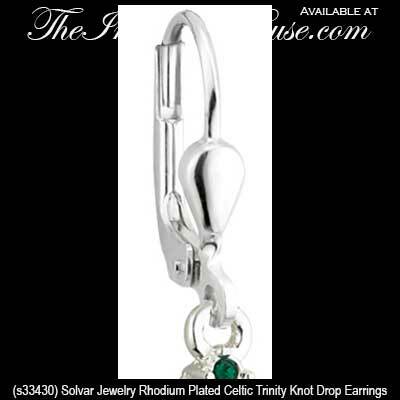 These rhodium plated Celtic stud earrings feature Trinity knots with green enamel accenting. 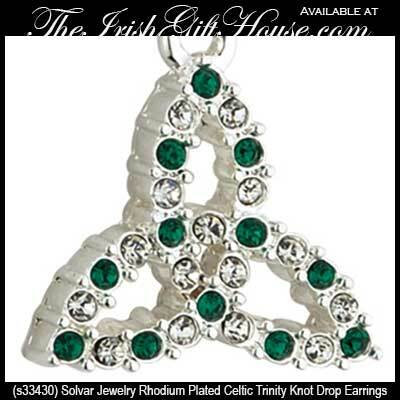 These Celtic earrings are an open Trinity knot design that are set with green and white glass stones. 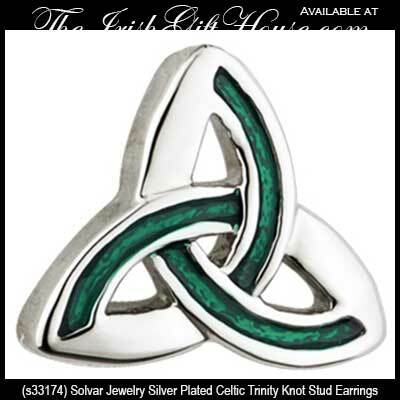 These silver plated Celtic stud earrings feature green enamel Trinity knots with crystals. These silver tone Celtic drop earrings feature an embossed spiral design along with an amethyst color glass stones. These gold tone plated Celtic drop earrings feature embossed knot-work. 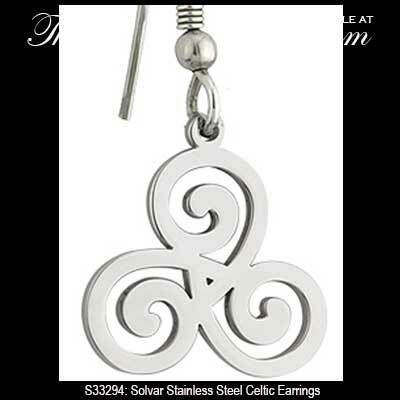 These Celtic drop earrings are a silver tone plated style with an embossed spiral design. 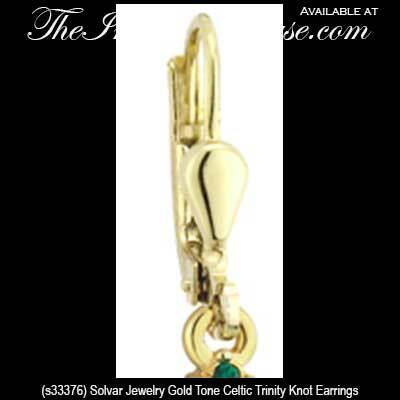 These Celtic drop earrings are silver tone plated with gold tone knot-work. These silver tone Celtic earrings feature filigree knot-work that is enhanced with a gold tone plated finish. Just like our sterling silver Celtic earrings our plated designs are made in Ireland and are nickel free and allergy safe. Create a complete ensemble by adding a plated Celtic necklace or a beautiful Celtic bracelet to your collection; the bracelets are offered as link and cuff along with wire and charm, so you are likely to find the perfect design. A Celtic brooch would also enhance any selection as they make wonderful accents to any outfit. Additional considerations include our range of Connemara marble necklaces and Connemara marble crosses where we have many plated designs that feature the Trinity knot. From sterling silver Claddagh rings to the Book of Kells jewelry, The Irish Gift House has thousands of pieces from which you may choose.